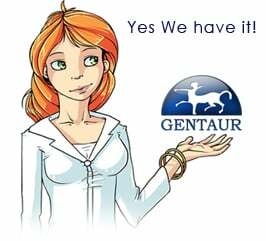 Gentaur antibody-antibodies.com The Marketplace for Antibodies : Regulation of mitogen-activated protein kinases by a calcium/calmodulin-dependent protein kinase cascade. Regulation of mitogen-activated protein kinases by a calcium/calmodulin-dependent protein kinase cascade. Membrane depolarization of NG108 cells gives rapid (< 5 min) activation of Ca2+/calmodulin-dependent protein kinase IV (CaM-KIV), as well as activation of c-Jun N-terminal kinase (JNK). To investigate whether the Ca2+-dependent activation of mitogen-activated protein kinases (ERK, JNK, and p38) might be mediated by the CaM kinase cascade, we have transfected PC12 cells, which lack CaM-KIV, with constitutively active mutants of CaM kinase kinase and/or CaM-KIV (CaM-KKc and CaM-KIVc, respectively). In the absence of depolarization, CaM-KKc transfection had no effect on Elk-dependent transcription of a luciferase reporter gene, whereas CaM-KIVc alone or in combination with CaM-KKc gave 7- to 10-fold and 60- to 80-fold stimulations, respectively, which were blocked by mitogen-activated protein (MAP) kinase phosphatase cotransfection. When epitope-tagged constructs of MAP kinases were co-transfected with CaM-KKc plus CaM-KIVc, the immunoprecipitated MAP kinases were activated 2-fold (ERK-2) and 7- to 10-fold (JNK-1 and p38). The JNK and p38 pathways were further investigated using specific c-Jun or ATF2-dependent transcriptional assays. We found that c-Jun/ATF2-dependent transcriptions were enhanced 7- to 10-fold by CaM-KIVc and 20- to 30-fold by CaM-KKc plus CaM-KIVc. In the case of the Jun-dependent transcription, this effect was not due to direct phosphorylation of c-Jun by activated CaM-KIV, since transcription was blocked by a dominant-negative JNK and by two MAP kinase phosphatases. Mutation of the phosphorylation site (Thr196) in CaM-KIV, which mediates its activation by CaM-KIV kinase, prevented activation of Elk-1, c-Jun, and ATF2 by the CaM kinase cascade. These results establish a new Ca2+-dependent mechanism for regulating MAP kinase pathways and resultant transcription. Protein phosphatase 2A-negative regulation of the protective signaling pathway of Ca2+/CaM-dependent ERK activation in cerebral ischemia. Rottlerin inhibits the nuclear factor kappaB/cyclin-D1 cascade in MCF-7 breast cancer cells. Gonadotropin regulation of testosterone production by primary cultured theca and granulosa cells of Atlantic croaker: II. Involvement of a mitogen-activated protein kinase pathway. Inhibition of calcium/calmodulin-dependent protein kinase kinase by protein 14-3-3.